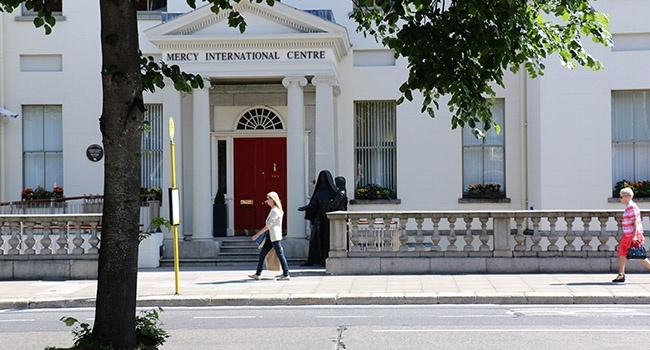 Editor: MIC provides accommodation for those attending programmes in Mercy International Centre and when not fully booked for programmes, offers bed and breakfast facilities to Sisters of Mercy, Associates, co-workers and family and friends of Mercy, except at Easter and Christmas when the Centre is closed. Accommodation is on the second floor and is accessed by the lift or stairs. Single, double and twin rooms are available. The newly renovated bathrooms are shared. A comfortable sitting room with TV, kitchenette and tea and coffee making facilities is available for guest use. Fast internet access and laundry and ironing facilities are provided. A continental breakfast is served in the dining room on the lower ground floor at 8.00am weekdays, 8.30am on weekends. Our beautiful chapel, which has recently been painted, and private back garden, are available for all to enjoy. Morning prayer is held in the Chapel on Thursdays at 8.45 am and Lectio Divina Mass on Sundays at 10.30am. All visitors and guests are welcome to participate in these prayer times.